It is hard to believe but it is 25 years since the dramatically-styled, mid-engined, two-seater Jaguar XJ220 supercar was first introduced. It quickly became not only Jaguar’s fastest ever production car (an accolade it still holds today) but also the fastest production car in the world at that time, achieving an incredible 212.3 mph. Jaguar produced just 271 XJ220s between 1992 and 1994 in conjunction with its competition partner Tom Walkinshaw Racing, with each one priced at a whopping £470,000. The car broke many records in its time and now the XJ220 is the latest classic car to receive the record-breaking treatment at this years Silverstone Classic (28-30 July). Thanks to their rarity, never more than a handful of Jaguar’s greatest supercar have ever been seen together. And with the record breaking supercar now celebrating its 25th Anniversary, the organisers of the annual Silverstone Classic are working with renowned XJ220 specialist Don Law Racing to bring together more than 50 examples for an astonishing display and circuit parade at the end of July. Jaguar XJ220 Specialists Justin and Don Law. Although originally conceived to feature a V12 engine plus four-wheel-drive, the showroom Jaguar XJ220 model arrived with a 3.5-litre twin-turbocharged V6 developing 542bhp. A racing version – called the XJ220-C – was introduced in 1993 to compete in the increasingly important GT class within international sportscar races. Later that year, one of these factory-entered cars driven by David Brabham, David Coulthard and John Nielsen won the GT category at Le Mans only to be controversially excluded by the French organisers. David Brabham won the Le Mans 24 Hours GT class in an XJ220 in 1993. The XJ220 is not only the companies fastest car but also its longest. 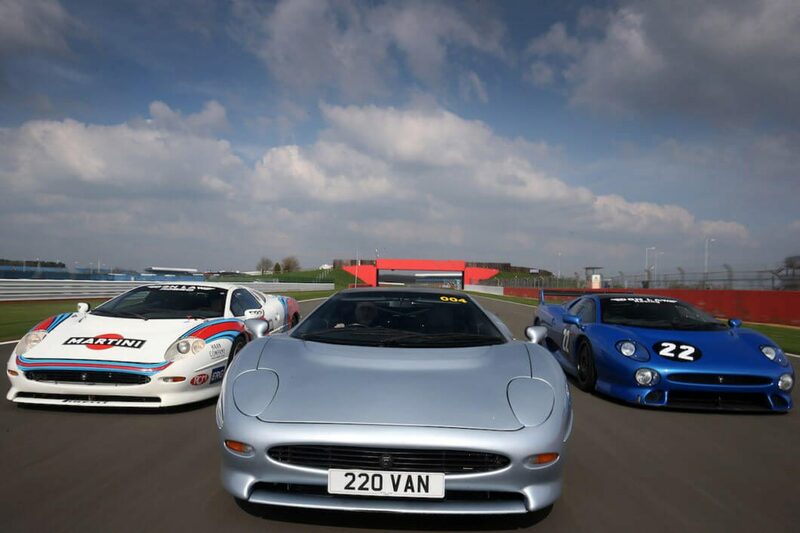 The Jaguar XJ220 showcase will take place on the Saturday of the event, with a parade lap involving some specially invited guests who have close associations with the car’s design, development and on-track success. 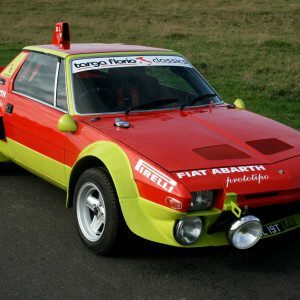 Full tickets and event details can be found on the silverstoneclassic.com website.